27 Mar - Team Singapore results. 24 Mar - Send off. 19 Mar - Team Singapore. Results to be posted after the competition. 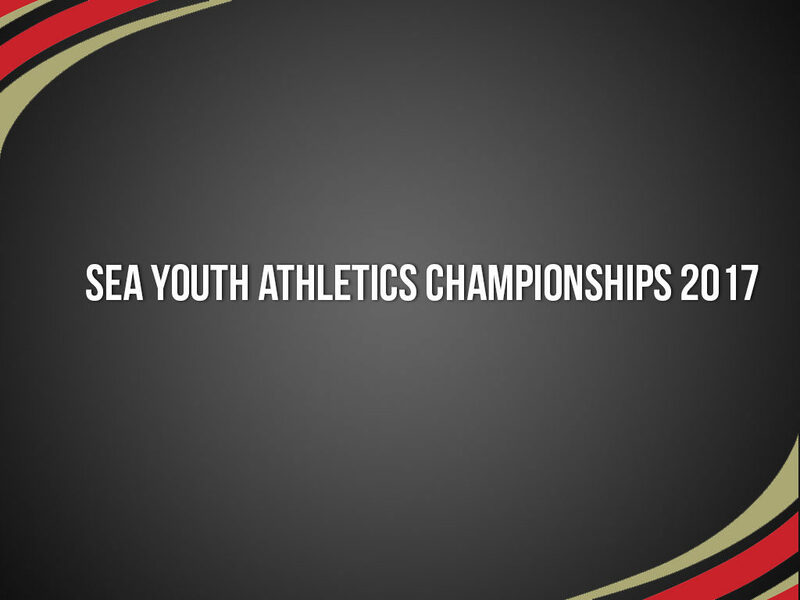 Athletes qualified to take part in the SEA Youth Athletics Championships have birthdates from year 2000 - 2002. Shot Put – 5.00 kg. 110m. Hurdles' height – 0.914m. 400m. Hurdles' height – 0.838m. Boys' Triple Jump – 11.00m. Girls' Triple Jump – 9.00m. competition uniform of their respective national federation, in accordance with IAAF rules and regulations. DOPING CONTROL: Doping control tests shall be carried out in accordance with IAAF rules where the participants shall be chosen by random for doping tests. Doping control tests will be conducted through urine samples. Competitors chosen for doping control tests shall accompanied by one of the following: team official, coach or doctor. Please submit your interest by 12th February 2017. Please submit your interest to SAA (SAA) once the competition information is published and window is open. Based on the quota given by the organizer (on a meet by meet basis), SAA will send any Singaporean athlete who meets the Youth qualifying mark.